I recently read that if you really want to be good at something, you need to practice 10,000 hours. 10,000 hours. Really? So 10 years of practicing 3 hours a day --- I can become a master in my subject. This was huge to me because I am so prone to quit something if I don't grasp it right away with the 'aww-I'm-no-good-at-this-mentality'. Dumb, I know. So I began to approach this whole knit-a-sock-saga that has been going on for.ever. in a whole different light. ...good grief, why was I beating myself up about this? So it's back to my delicious Felici yarn from my darling (you can do this, Dawn!) friend, Andi and I approached these socks with a whole different attitude. Relaxed (for a change) I absolutely fell in love with the feel of these as they formed in my hands. Boy, oh, boy -----> soft, soft, SOFT. This was the feeling that I was craving and it was right there...in my lap. Okay. I realize it's just one sock so far. But there is a fire deep within that has been lit & the welling up that I feel is proof to my husband/kids that I do need a nice padded room has been ignited and if you hear hootin' & hollerin' that's just me ----> on fire with the knowledge that I can truly knit socks. And knit socks I shall do. Dawn: That sock is FABULOUS! You should be so proud of yourself! I know I am! Keep up the good work. You can do it. Woohoo!! Go Dawn go!! I have exactly the same mentality! I gave up on learning how to knit after some failed attempts :p will try again when I have the time! 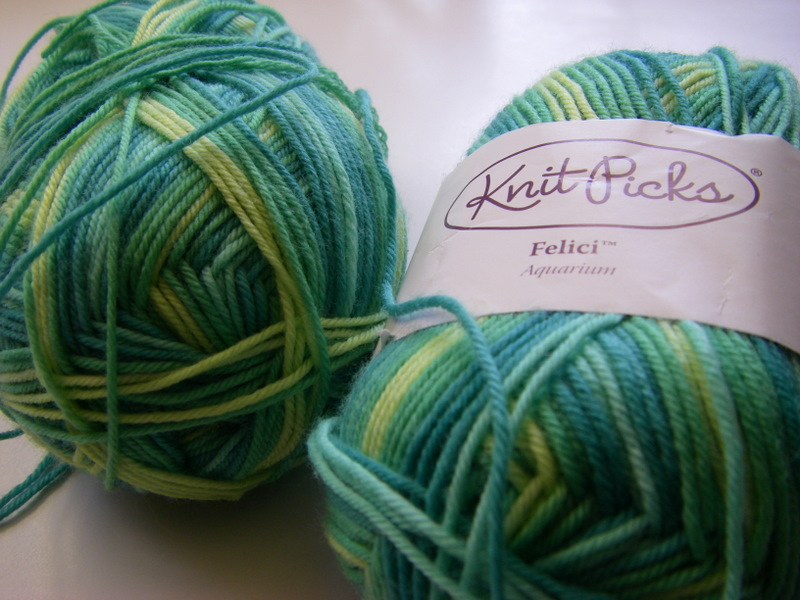 Anyway, love the yarn colors! I wish you all the luck in the world!! LOVE the yarn, LOVE the pictures!!! Beautiful socks for happy feet ! well done on the persevering. I know that "ah ha" moment only too well and always, always, wonder why "didn't I do this before?" maybe you've found the secret...it takes only 10,000 hrs to learn something...sometimes longer!!! Wow! Great sock and nice colors! I love making socks since I use the MagicLoop method and I can not stop making them. What lovely colours! I don't think I will ever learn to knit. I quit after trying once. As I can see here, you don't need the 10,000 hours of practicing at all :D....you are mastering crocheting, knitting, tatting....( I didn't go further on your blog, yet ;) . Keep going...it is true : simple pleasures in life makes it wonderful for living. This was a wonderful post - I am drooling over your socks and that beautiful yarn. I am prone to be a quitter also - especially when it comes to double pointed needles. I loved it when you said "for pete's sake" - thought I was the only one that said that!! I wonder who Pete was?? Merhabalar, tasarımlarınız blogunuz harika..ben çok beğendim yeniden görüşmek üzere sevgiler..
Oh those are WONDERFUL! That is my dream some day - to knit socks... and I LOVE the yarn you picked! I am just trying to learn to knit again - been taught twice now and worked on a few wee projects... forgot about it and have the bug now... socks scare me but I hope to conquer that fear once I can get better at understanding instructions etc.... thanks for the inspiration!! Have a great weekend! Your sock is really wonderful, looks perfect and exactly as all the socks one could see here in blogland. No difference between a first sock and a twentysecond sock, and I am not kidding. 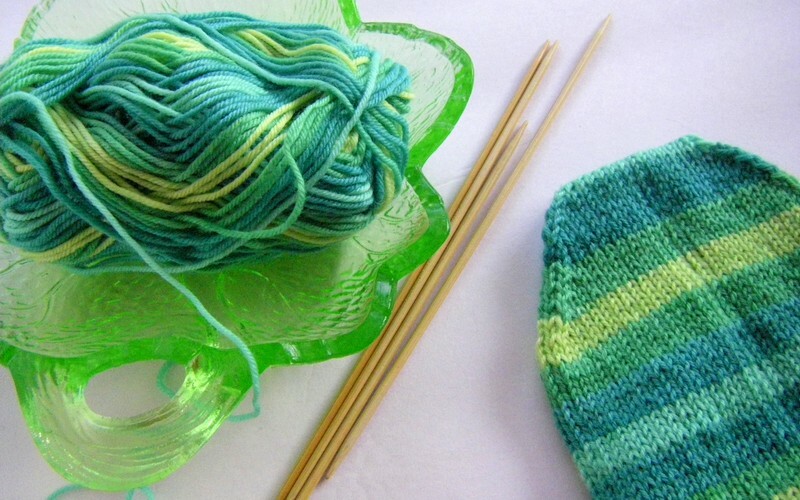 A sock is a sock and your sock is as a good sock should be - soft and with a long ribbed border to keep your ancles warm and stay in place, it suits your feet like a glove and the colour is very lovely, looks like the first primula buds in spring. You did a fantastic job (my first sock was really awful, I have used too thick needles and all was floppy and simply ugly), so please stay with it to be one near day the very proud owner of a pair of handmade socks! I am laughing because I went from knitting socks to crocheting and, boy, is that a fun transition. No dropped stitches, the wool just FLIES through your fingers. But the socks. Ah. The socks. I even knit the exact same colorway and yes, my dear - it took a long damn time. But the final product is a marvel. The challenge is - how to wear them without looking too dweeby. I'm still struggling with that.